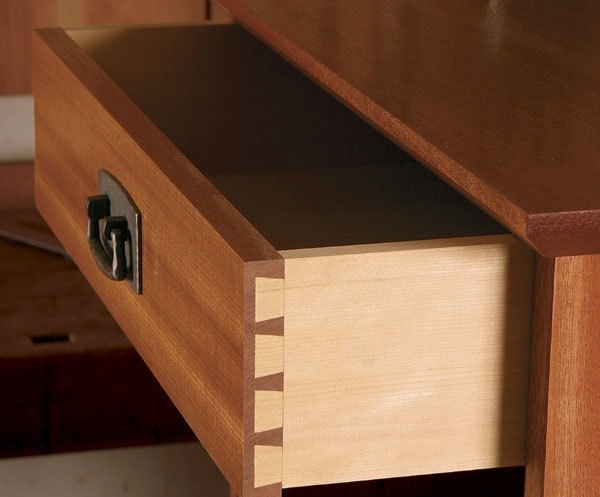 In the world of carpentry and woodwork, the dovetail is a common phenomenon, especially when dealing with corners of a drawer that needs to be joined. The big question is: which technique suits your purpose adequately? What are you willing to do to make your woodwork look its best? Dovetails can be cut on a table saw. You can find some of the best table saw model recommendations on Carve Your Creation. 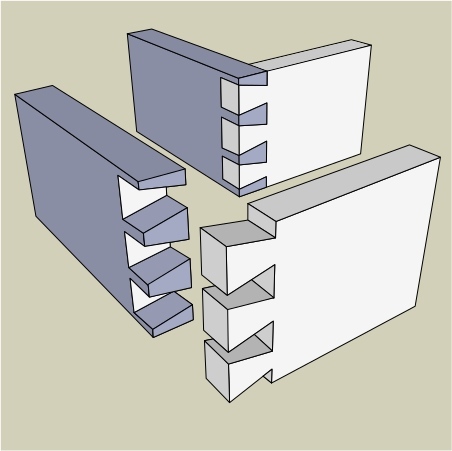 All these dovetail variants work well in their own way, but lets take a closer look at the half-blind dovetail and through dovetail in particular. There are cases where you will be required to chose from the two. Which one will be better in your situation? This dovetail is used by craftsmen when they don't want part of the drawer's joints visible. In this case, the end grain will not be visible from the front of the joint. This is the best alternative for attaching false fronts of a drawer. It is commonly used to fasten drawer fronts to drawer sides. The half-blind dovetail is nearly as strong as the through dovetail, but it can not withstand quite as much tension. Compared to half-blind dovetails, the through dovetail has both ends of the joint visible. The dovetail can be used for your own personal signature. Many craftsmen take this opportunity to show the signature of their wonderful work. This is a good way to increase their recognition and popularity. The though dovetail is stronger and more appealing to the eyes. Its joints are stable and long-lasting. Through dovetails are commonly used in the making of boxes and carcasses, with a ability to do more in terms of wood joining. The two dovetails discussed above have many similarities, but also some differences. Either way, using the right method for the right purpose will make your work last longer and remain beautiful at the same time.